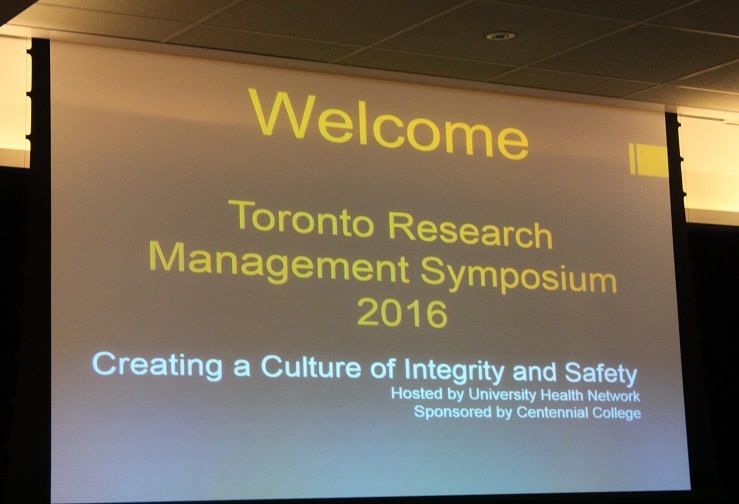 The Toronto Research Management Symposium 2016, held November 30th, couldn’t sound more dry, but its tagline: “Creating a Culture of Integrity and Safety” cuts to the core of what all organizations, regardless of size, strive for. At the Symposium, which drew about 100 attendees, speakers explored the pathology of ethical misconduct at an institutional level – how to root it out, and how to set up a road-map for addressing it. This needn’t sound as dire as it should: more often than not it’s not some kind of “abnormal psychology” at work, as one speaker put it, but a lack of protocol awareness or a momentary lapse of judgement. The University Health Network’s Susan Zimmerman, Executive Director of the Secretariat on Responsible Conduct of Research, examined the “Singapore Statement,” the collective effort of nearly 350 researchers in 50-some countries, to promote fundamentally sound research integrity. This means, among other issues, addressing potential conflicts of interest upfront (like say by way of example, that this very Symposium was sponsored by Centennial College’s healthcare research success story, Wearable, Interactive and Mobile Technology Access Centre in Health, WIMTACH). And there isn’t anything wrong with this. As other speakers noted, if the relationships are publicly divulged and proper protocols observed, it should make no difference if, say, pharmaceutical firms are funding research. 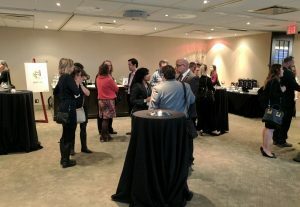 The purpose of the Toronto Research Management Symposium 2016, ultimately, was to discuss how to implement integrity programs, and different organizations provided their perspectives as to how it could be done. Baycrest, an organisation which has collaborated with Centennial College research projects, was just one of the large healthcare institutions represented at the conference. How does something as ambiguous-sounding as “research integrity” affect an institution like Centennial College, you might ask? At present, in the case of Centennial College’s Applied Research, Innovation and Entrepreneurship Services (ARIES), industry partners have access to their related intellectual property. This is what makes services like Centennial’s so useful to corporations, in addition to, of course, the College’s experience, depth of student/researcher knowledge, state of the art facilities, and robust project management based on best practices. Centennial hopes to organize future sponsorship events like the Toronto Research Management Symposium, as there are opportunities to meet with important players in the healthcare space, and to get the word out about the successful track record the College has partnering with industry.